How do I fix error 0x80070003? Have you tried updating your device from Windows 8 to the new Windows 10? Or upgrading it from an older Windows 10 version to a newer one? 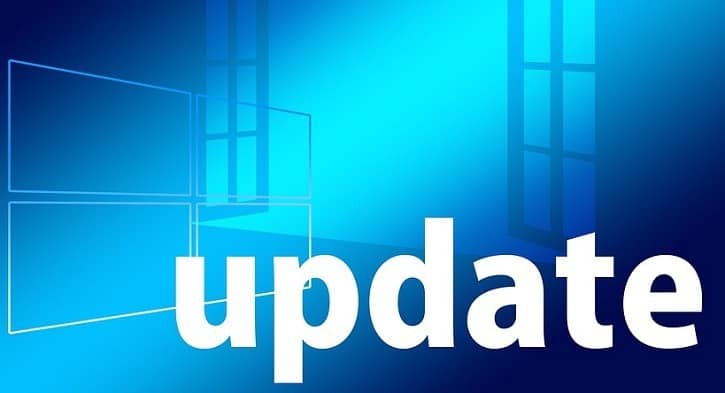 You might have noticed that in some cases the Windows Update process stops at around 50% and gives you the error code error code 0x80070003. You don’t need to be alarmed because after you finished reading this article, you’ll know how to successfully fix error 0x80070003 in Windows 8, 8.1 and Windows 10. The full error message you get while trying to update to Windows 8.1 should be “SOMETHING HAPPENED AND THE WINDOWS 8.1 COULDN’T BE INSTALLED. PLEASE TRY AGAIN. ERROR CODE: 0X80070003.” And can be fixed by running the Windows Update troubleshooter or just restart the Windows Update Center. Left click or tap on the “Save File” option. Left click or tap on the “Yes” button if you are prompted by a user account control message. Follow the instructions on the screen to complete the installations process of the Windows Update troubleshooter. Reboot your operating system after the troubleshooter has finished. Check again if you can update from Windows 8 to Windows 8.1 or Windows 10 without getting the error code 0x80070003. If you encountered error 0x80070003 while trying to install a newer Windows 10 version, you can also run the built-in Windows Update troubleshooter. All you need to do is go to Settings > Update & Security > Troubleshoot > locate and run the troubleshooter, as shown in the screenshot below. Left click or tap on the “Search” feature presented there. In the search dialog box write the following: “Control Panel”. Left click or tap in the search box presented in the Control Panel window. Write in the search box the following: “Administrative Tools” without the quotes. Now double click on the “Services” feature. Note: You might be asked for an administrator account and password in which case you will need to type them in. In the list that shows you will need to search for “Windows Update”. Now right click or hold tap on the “Windows Update” service. From the menu that appears left click or tap on the “Stop” button. You can also select the Restart option. Reboot your Windows 8, 8.1 or Windows 10 operating system. Return to the Windows Update Service, left-click on it and select Start. Double click to open the “C:” drive or whichever the Windows 8, Windows 10 system is installed on. Double click on the “Windows” folder to open it. Search for the “SoftwareDistribution” folder and double click on it to open. Look for “DataStore” folder inside the “SoftwareDistribution” folder and open it. Delete the files and folders present in the “DataStore” folder. Note: You might be asked for an administrator account and password . Now go back to the “SoftwareDistribution” folder. Find the “Download” folder and double click on it to open. Now delete all the files in the “Download” folder as well. Reboot your Windows 8, 10 operating system and start the Update process to Windows 8.1, Windows 10 again. From the menu that appears left click again on the Search feature. In the search box write “Control Panel” without the quotes. Left click or tap on the Control Panel icon. In the search box of the Control Panel widow write the following: “administrative tools”. After the search has finished left click or tap on the “Administrative Tools” icon. Double click to open the “Services” feature. 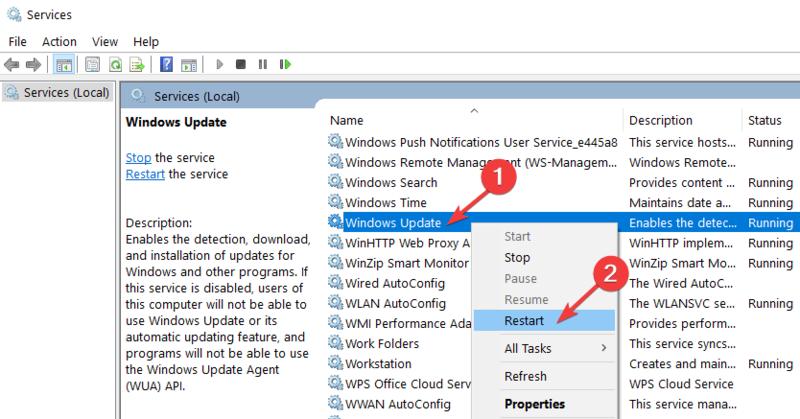 Find the “Windows Update” service in the list presented. Right click or hold tap on it. From the menu that appears left click or tap on the “Start” button. Check again if you can update your operating system to the new Windows 8.1 or Windows 10 . Left click or tap on the “Command Prompt(Admin)” feature you have in your Windows 8.1, Windows 10 operating system. If you are prompt by an administrator account and password please type it in. Write in the command prompt window the following: “net stop wuauserv” without the quotes. Next write in the command prompt the following: “net stop bits” without the quotes. Reboot the Windows 8, 10 operating system. After the device starts again open the Command prompt window once more. Write in the command prompt window the following: “net start bits” without the quotes. Now try running the Windows Update feature again and see if it works for you this time. From the menu that appears left click again on the “Command Prompt (Admin)” icon. In the command prompt write the following: “Dism /Online /Cleanup-Image /ScanHealth” without the quotes. Write in the Command Prompt window the following: “Dism /Online /Cleanup-Image /RestoreHealth” without the quotes. It will take around 10 minutes for the process to finish. After the process has finished please reboot the Windows 8, 10 operating system once more. After the device starts check again if your Windows Update feature works normally. If the error code persists, try disabling your antivirus software. Sometimes, your antivirus tools may incorrectly flag Windows updates as malware thus blocking them. You can turn off your antivirus, check for updates and see if your computer manages to install the available updates. If you followed the steps above carefully, you will have fixed your error code 0x80070003 by the time you reach the end of this post. If you ran into any issues along the way, let us know in the comments below. We will help you further as soon as we can.